Dentistry allows me to change lives for the better. I’m proud to work in a field where I have the opportunity to build trust with my patients, educate them on how to have healthy, pain-free mouths, and do the restorative work that makes their teeth strong and beautiful. Seeing happy smiles and being a part of making them that way is very fulfilling. Our field is continually evolving, making continuing education vital to keep up with advancements and ensure the best treatment with long-term success. I keep abreast of the latest in anesthesia technique, material choices, restorative techniques, endodontic advancements, and implantology through my involvement with the American Dental Association, New Jersey Dental Association, and the Connecticut Dental Association. I grew up in the Pacific Northwest in Portland, Oregon and now live in West Hartford, Connecticut. My husband Edgar and I have been married for eight years. We have two daughters, Rian and Raquel, and a dog Parker, who we rescued one year ago. When not working I enjoy reading, walking, jogging, movies, trying new restaurants, and traveling. I also recently joined a rock climbing class! Dentistry to me is interacting with the patients daily, and seeing them leave our office with not only a smile on their face and an uplifted spirit, but also with total comfort with me as their dentist and the healthcare profession as a whole. I am a huge believer of education in preventive dentistry, and that starts with communication. I strive to make each patient’s visit personal, and would love to make going to the dentist someone’s top five things to do. Maybe that’s a bit of a stretch, but seeing my patients happy is endlessly satisfying! Continuing education assists with keeping me up-to-date on new technology, as well as refreshing my existing knowledge, which helps me to provide my patients with the best care possible. I complete a variety of courses in person and online, and attend informative seminars through the American Dental Association, the Massachusetts Dental Association, and the VDDS. 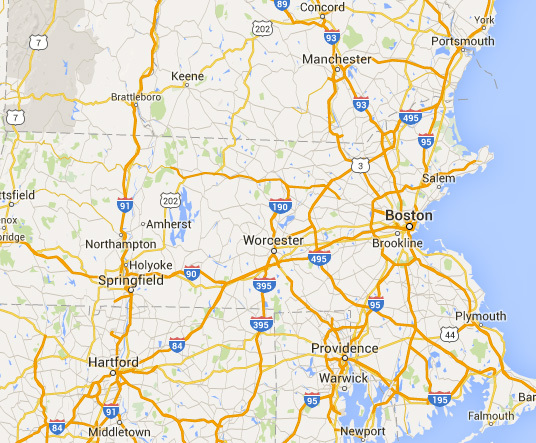 I grew up in Pennsylvania and currently reside in Springfield, Massachusetts. My wonderful children are the loves of my life! I love spending quality time with my children whether we’re just at a local playground or are taking a road trip to an amusement park. Besides family, I am a huge Pittsburgh Steelers fan and would love to visit all of the 31 stadiums in the NFL! I feel blessed to find myself in a profession that has enabled me to provide care for many people over several years. In the time I have been practicing dentistry, I have seen people from all over the world who have arrived to start a new beginning in the United States of America. I am reminded daily that I have been given the same opportunity in 2001. This responsibility to provide the most excellent care possible keeps me going forward. The most wonderful thing is seeing so many children grow up over the eight years I have been working in this practice. Each person is so unique, and it reminds me that the care I provide to them must be unique as well. I’m a firm believer in continuing one’s education, no matter what one’s profession. This is especially true for those in oral healthcare, where there are constant developments that result in more effective care for our patients. By attending meetings, lectures, and seminars, I am able to stay up-to-date on current treatment mechanics and approaches, ensuring my patients have access to clinically proven options. I grew up in India and made Holyoke, Massachusetts my home eight years ago. My free time is spent reading and being with my family and friends. I also enjoy working in the community, and have given my time at free dental health camps as a volunteer dentist.